Do you ever say, “Gosh, I wish I had known that when I was younger”? If not now, you most likely will someday. Well, here is your chance! 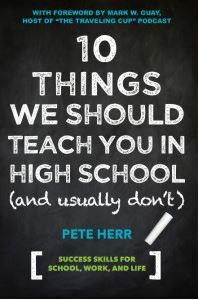 Pete Herr, an award winning teacher in Western New York, has written his first book, 10 Things We Should Teach You In High School and Usually Don’t. I recently had the chance to sit down and interview Mr. Herr about his new book. 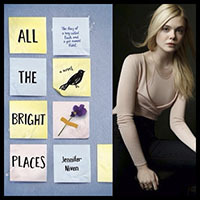 What is the main take away from your book? 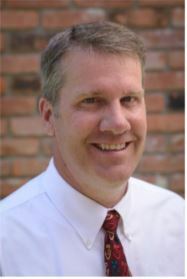 Pete Herr: I think the most important theme that runs through the book is that we have a choice. If we don’t like what is going on in our lives, we can make the choice to change it. I am a firm believer that everything in life has a price. We just have to make the choice if the price is worth it, and then make the choice to execute a plan to get what we want. In your opinion, what is the biggest mistake young folks make? Young people make plenty of mistakes. So do old people, for that matter. I think the biggest one for kids is that they don’t look towards or think about their long term plans. I think this is, of course, a double edged sword. They are less anxious about the future because they don’t think about it, but they don’t move towards the things they want because they don’t think out far enough. Also, I think they don’t understand the importance of strong communication skills…written and verbal. I can’t overstate the importance of those skills. How has teaching changed in the past decade? That’s a good question. In some ways, education has changed monumentally. Technology makes that a necessity. Technology is another double edged sword. It is great and holds the kids’ attention, but we are also competing with it. Kids texting and tweeting and Instagraming selfies all day. The amount of information easily available is incredible, but there is so much questionable or bad info out there. In other ways, education hasn’t changed at all. Desks in rows, whiteboards or Smartboards at the front of the room. Teacher delivering a message and testing the retention/comprehension. Same model as in Little House on the Prairie days. How do you reach kids nowadays? You reach kids by recognizing that they are awesome. I spend a lot of time connecting with kids, finding out about their interests and being genuinely interested in what interests them. I am genuinely interested, not just pretending. 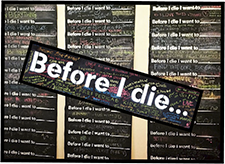 I consider myself a better advocate for kids than a teacher, and I think that, by advocating for them, I connect, and through that connection, I am able to reach them. I am still friends with lots of my former students. I collaborate with lots of them on projects. A former student wrote the foreword to the book, and a former student designed the cover art. What can young girls do to vault ahead post high school? This is a hard question for me because I don’t see my students as girls and boys. They are all very capable. In the book I talk about self-promotion, and I think this is one area that women may not be as strong as men. Guys are often shameless self-promoters, and I see that less in my female students. There are great ways to promote yourself without coming off as arrogant or self-centered. I think that might help young women get ahead. What is the thing you wish you could do over most in life? I don’t have a lot of regrets. I like what I do, I like where I am, and I like who I am with. All of those might have changed if I had done things differently. I think if I had a do-over, I wish I had learned more about money at a younger age. I wish I had saved more and learned to invest better. I wish I had started to save for retirement when I was young instead of playing catch up now that I am in the 50+ club. There is a chapter in the book about that, and I actually spent today teaching, or begging, my students to take this lesson seriously. What is the thing you are most impressed by when you see it in a young student? There’s two things I really get excited about when I see it in kids. The first is respect. I am a believer that every single person deserves at least the respect of common courtesy. We seem to have given up on that in our country. Our politics have polarized us so much that we can’t even seem to exercise the tiniest bit of it. So when kids are well-mannered and respectful, they immediately stand out to me. The second thing is passion. I love when kids get so excited about something that they are willing to watch YouTube videos or listen to audio or just do Google search after Google search to figure out how to do something. When I was a kid, I took things apart to see how they worked. I love it when kids do that, on their own, without a teacher or parent screaming at them. If you had to choose 3 words to tell today’s girls, what would they be? Just 3 words. How about “Yes, You Can”… It doesn’t matter what it is. If you believe in yourself: “Yes, you can.” If you want something badly enough and ask yourself can I have it? “Yes, you can.” If you ask if you can compete with men: “Yes, you can,” and [you can] win. If you wonder if you are strong enough to work and have a family: ” Yes, you can.” I think if they start with that premise, “Yes, you can,” and work backwards, it opens all sorts of possibilities. If you could instruct today’s youth to live anywhere for a year, where would it be and why? I’ll be honest; I am not all that well traveled, so I’ll go with what I know. Live in Buffalo for a year, or Detroit, or Cleveland. You want to learn about can-do attitudes, live in an old rust belt city that is full of the rusting out hulks of our former manufacturing glory days. There is no better lesson to be learned than living and working in a blue collar city where people wonder if their best days aren’t behind them. You develop a ruggedness living through a rough winter and a couple of decades of decline. Little victories are a big deal, and you learn to be thankful for them, and gratitude is an essential life skill. If you had to choose between saving money as an 18-year-old or spending it on a trip to see the world, which would you choose? Choosing between travel and savings is a tough one. I wish I had seen more of the world. We are saving pennies and nickels and dimes to try and fund a trip to Scotland someday. On the other hand, I really wish I had traveled more when I was young and the whole world was in front of me. This question might be my kobayashi maru test. (Am I allowed a gratuitous Star Trek reference?) It is a no-win situation. Both are such good ideas. If you asked me to choose between an expensive college education and traveling around the world, it might be easier. I guess, the best answer is this: I talk a lot in the book about forming habits. Getting in the savings habit is a life saver over the long haul. So get in the habit of saving smaller amounts of money and use the lump sum to see the world. Did I pass the test? Of course! One final question: What made you want to write the book? A few things conspired to put me in write-the-book mode. First, I went to a conference that talked about a few things that first year college kids were missing when they got to campus. Things like independence and time management and writing skills and critical thinking. And then I was trying to rebuild the curriculum for a leadership class. I had been teaching it for a decade, and it was getting stale. So, I started to make a list of things that I thought kids were lacking. As teachers we have less and less time for life lessons because those things don’t work well on standardized tests. I notice in your photo a pretty snazzy tie. What is the story behind that? That’s the tie Rebecca designed. It doesn’t come out often. Seemed appropriate here. How old was she when she did this? We love that you continue to honor your girl that way. Jerri Sparks is a single mom (of three teens and one pre-teen) living in Western New York. A former Congressional press secretary and a UCLA alum, Ms. Sparks now works in the BioPharma Research industry by day and is a freelance writer by night, advocating for the things she’s passionate about. This may or may not involve Wonder Woman. 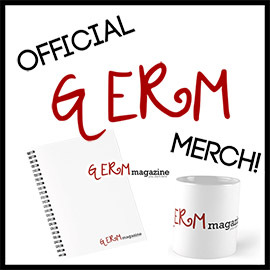 Contact her at jerri@germmagazine.com.